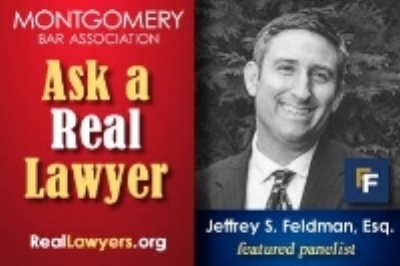 Jeff Feldman, the founder of The Feldman Firm, LLC, has written this week's "Ask A Real Lawyer" column in Montco.Today, a website dedicated to covering commercial, cultural and community news for Montgomery County, Pennsylvania. Montco.Today's weekly "Ask a Real Lawyer" column is published in conjunction with the Montgomery Bar Association. The subject of Mr. Feldman's article is whether unwritten promises are enforceable under Pennsylvania law. You can read the article by clicking on the image below.